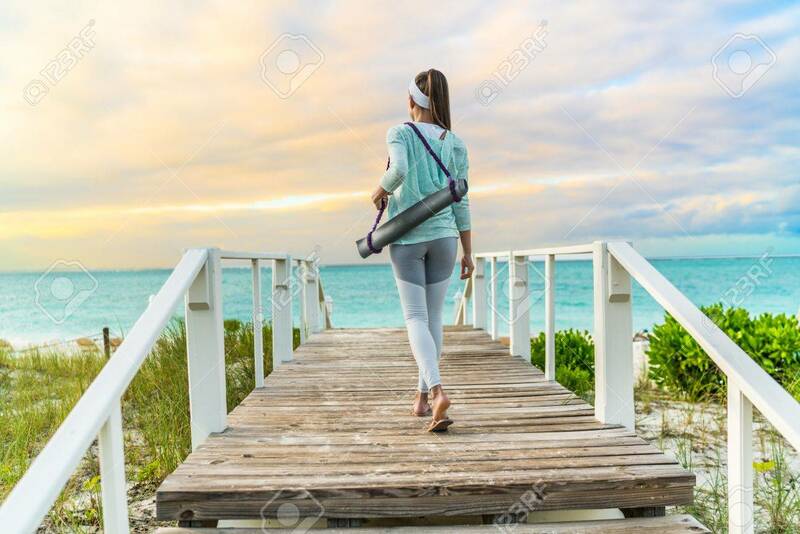 Fitness Woman Walking With Yoga Mat On Beach Going To Outdoor.. Stock Photo, Picture And Royalty Free Image. Image 57254462. Stock Photo - Fitness woman walking with yoga mat on beach going to outdoor meditation class at sunset. Back view of fit athlete in activewear fashion leggings and turquoise hoodie. Healthy active lifestyle. Fitness woman walking with yoga mat on beach going to outdoor meditation class at sunset. Back view of fit athlete in activewear fashion leggings and turquoise hoodie. Healthy active lifestyle.